As we begin a brand new school year, it is more important than ever before to ensure that your child has a homework area that inspires creativity and focus. Although we believe that playtime is also important for kids, having a space to work is the best way to encourage concentration, motivation, and dedication in little people. 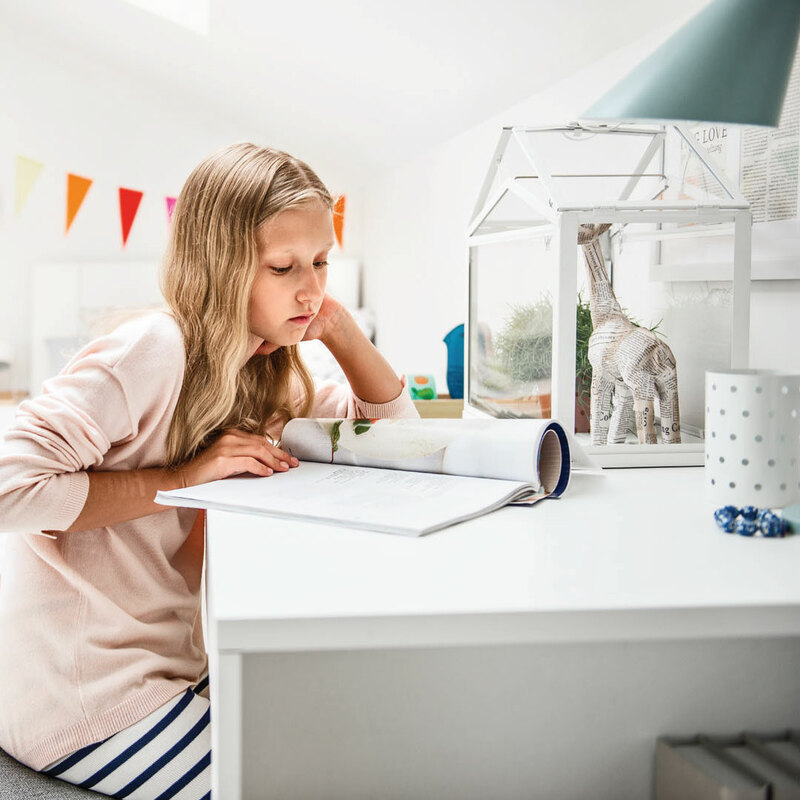 Creating a homework area for kids is not as challenging as you may think – especially if you have a plan that helps you know exactly what you will need. To help you design an inviting homework areas for your enquiring, growing mind, here are a few tips to consider. In our online shop, you will find a wide selection of desks for kids rooms and studies. Our ranges include a selection of styles to suit every age, gender, budget, and preferences. Choosing the right desk will come down to a few factors. Comfort is, of course, a big factor. Space is another. Style is also something to keep in mind. Essentially, you want a desk that is large enough to grow with your child, while still fitting easily into your child’s room. 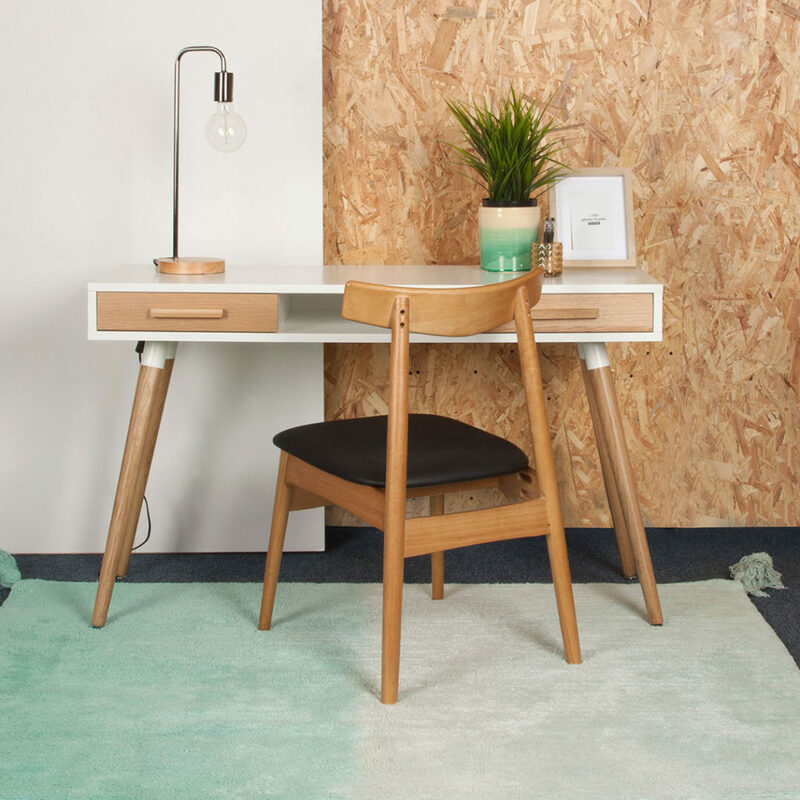 Try the gorgeous 4You Study Desk for a minimal white and wood desk that is gender-neutral, contemporary, and beautifully made. Whether you opt for desks that include wall shelves or bookcases, you can add baskets, organisers or a combination of storage options because your child will need somewhere to keep books and supplies safely tucked away. For smaller rooms, you could try a wall shelf, corner shelf or a slimline, tall bookshelf that does not take up much space. For larger rooms, you can use a large shelf without taking up too much space. The Ruby desk offers great built in storage with its 2 drawers and open shelves above. Choose a desk that fits. Our Aspen range caters specifically for smaller spaces. The Aspen range has a modern look, ample storage space, and a compact shape that will blend into any room with ease. Finally, don’t forget about the little details that further enhance your child’s study space. A funky desk lamp, plant, cork board, wall decal, chair, or rug can make all the difference. This space is designed to foster creativity and imagination. When your child feels comfortable working in this space, they are far more likely to want to work there in future. Always ask for your child’s input on what features they’d like to include in their study area. For a tween or teen, bunk beds such as the Bjorn Study Bunk Bed allow you to add optional extras such as desk, single bed, and side table. 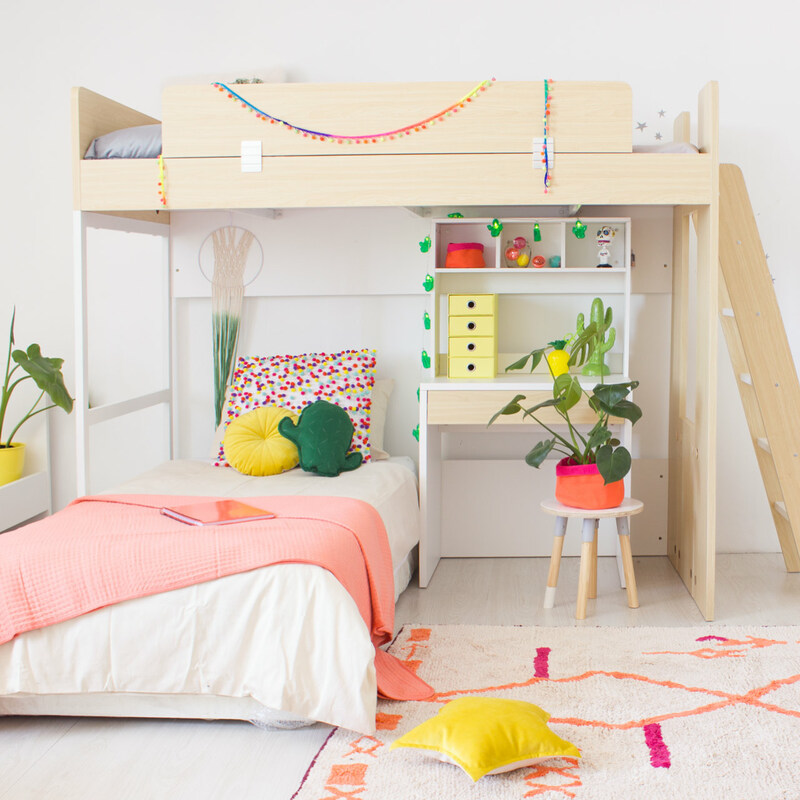 Finish off with a bright duvet set, a funky rug, and a few decor touches, and your kid’s homework nook will be complete. We hope that these tips help you create the ideal creative workspace for your little one. For a full range of desks, storage, and other essentials for your child’s homework area, view our kid’s furniture selection.